This shoot really is breathtakingly beautiful and enough to fill me with envy of any of you lucky enough to be planning a Spring wedding! So if you’re looking for ideas for your Spring celebrations, be sure to have your pinning finger ready…..
Isn’t it just breathtaking?? We’re just heading into Autumn here in New Zealand, but this shoot has me yearning for Spring already. Thanks to Jeannine from Be Loved for co-ordinating and styling this stunning shoot and to the whole creative team for bringing the vision to life. And of course a special thanks to Jen Fariello for capturing it all so perfectly and for allowing me to share it with you here. You can see more of Jen’s work here on her website at www.jenfariello.com or you can find her on Facebook, Twitter and Instagram. 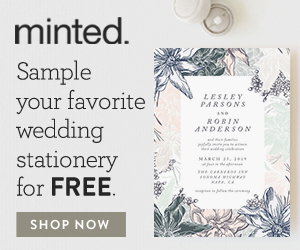 For more Spring wedding inspiration take a peek here and here at some absolutely fabulous real weddings, or here and here for some perfect Spring wedding colour palettes. Or for more beautiful wedding styled shoots how about this stunning Secret Garden wedding shoot, or this lush Spring boho-vintage shoot? You will find these and lots more by clicking here and I will have LOTS more Spring wedding ideas for you over the coming weeks.